DCBA, meanwhile, had a busy week hosting the 2017 USA China Auto Expo & Forum in Dearborn with more than 20 major Chinese auto suppliers on hand. 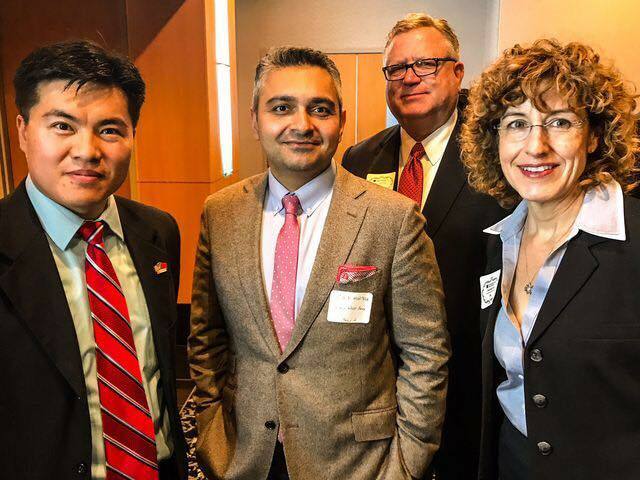 DCBA teamed up with China’s Ministry of Industry & Information Technology (MIIT), China Auto Industry Investment and Development (Wuxi) Ltd., and locally with the Asian Pacific American Chamber of Commerce in staging the event. “This was a nearly unprecedented opportunity for Michigan-based companies seeking to make the right connections to take their products to the Chinese market or to find Chinese investors to expand their operations,” said Brian Gao, DCBA president. Since 1995, DCBA has hosted Chinese officials and produced more than 100 events and meetings resulting in more than $3 billion foreign direct investment from China to Michigan.